Spetzel! With a creamy sheep cheese sauce and pancetta. Common in Slovakia and Hungary. I could eat this everyday. Spetzel is definitely naptime food. Delicious and then I need to lay down. Agreed! Very heavy and indulgent. Biscuits and gravy, pb&j, and tacos. Though I really have to make my vegetarian biscuits and gravy from scratch. I live in Denmark now where they like the British think biscuits are cookies and don’t know breakfast sausage. As far as something I’ve picked up from Denmark it’s eating rolls with jam and cheese on them. I became a cookie person since I went to “City Cakes NYC”. I’m always dreaming about to return there. 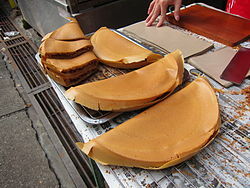 I grew up eating this, and we call it Martabak Manis. 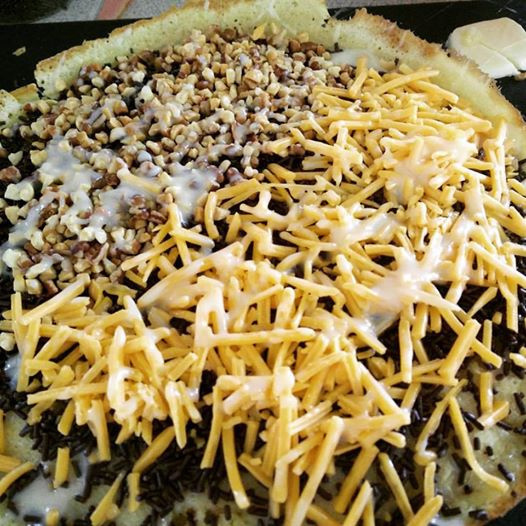 It’s basically just a thick pancake, slathered with half a tub of margarine, filled with shredded cheese, chocolate sprinkles, crushed peanuts, and glazed with condensed milk. It’s my version of heaven. 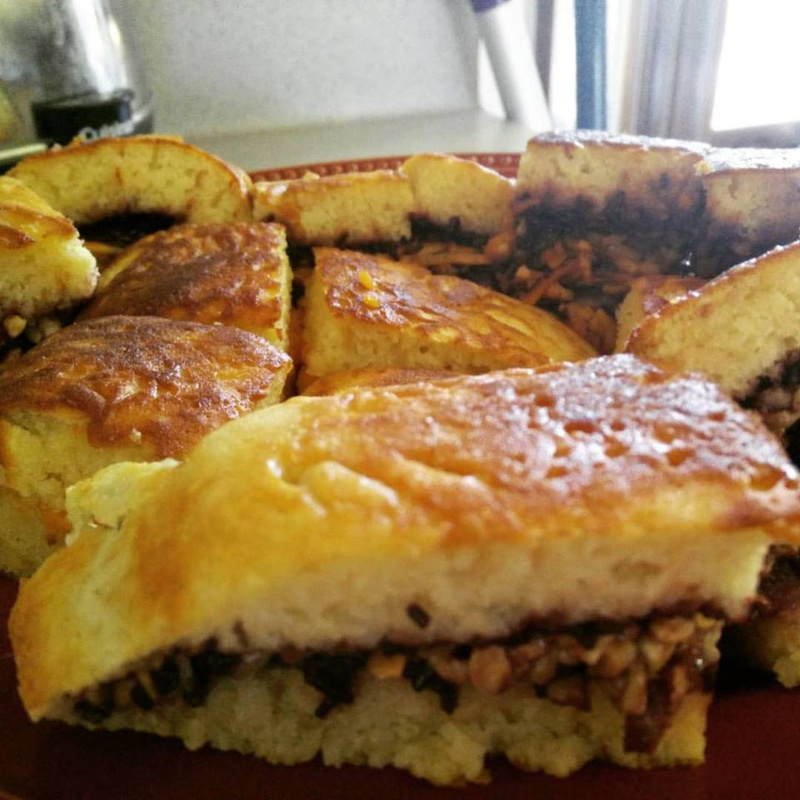 I tried to make it myself once. Sounds like a cottage pie sort of thing. That’s one of my favorites, personally. That and Shepherd’s pie. Ugali and Sukuma Wiki from Kenya. Basically grits and collard greens, but so much better. I could eat that stuff every day. You can never go wrong with anything grits like…or greens. I’m from the south where every baby boy is given a pack of grits when he’s born basically lol. Id love to try this! Rösti in Switzerland and Colombian arepas. In Virginia we have Brunswick stew, it’s a thick vegetable soup with shredded baked chicken. Most people freeze it and whip it out soon as it gets the least bit cold out.